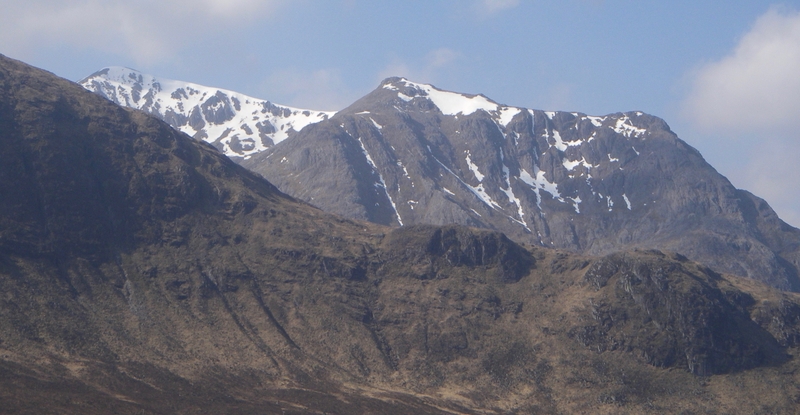 SAIS Glencoe Blog » Winds freshening but still a fine day. This morning was sunny and calm but by lunch time winds had freshened from the South-East with a bit cloud build up, outlook for Saturday is starting cold but becoming milder through the day, Winds will strong South-Easterly strengthening to gale force over the tops. Snow surface could well be firm and icy in shaded or wind exposed areas with serious run out potential onto rocks. 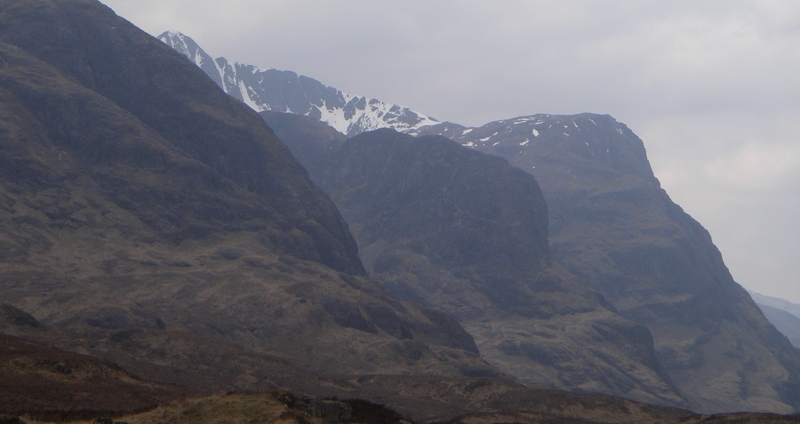 Three Sisters of Glen Coe.